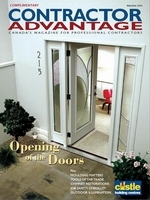 Read about the season's latest ideas on green products, doors, windows, decks, kitchens, flooring and siding. And, start dreaming, planning, building, renovating. It's free at Thayer Lumber!